Our production of costumes for Oklahoma was originally built for rental to Winnipeg's Rainbow Stage. Designed by legendary Winnipeg set and costume designer Taras Korol. The production has been met with rave reviews from everyone who has used it from Canada to our furthest customer in Hong Kong! Pictures here are courtesy of The College of Music, The University of Colorado, Boulder Co. 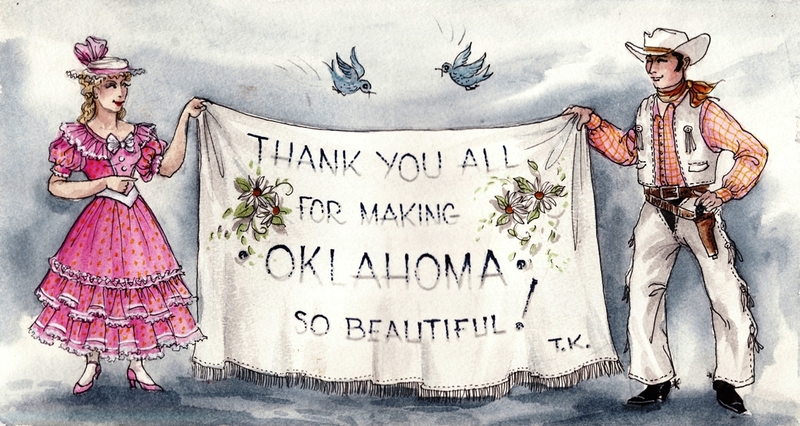 Please click a thumbnail to view full size images of our Oklahoma costumes for rental.